Here I will explain how to generate Google map api key for website or create Google maps api key for localhost website or get Google maps api key for website. Now click on Create project once login click on the Services link from the left-hand menu. Once open Services tab check for Google Maps API v3 and click on “off” to activate that service in the next screen select conditions and click “Accept” button. This way we can generate Google MAP API key to use this key to integrate in websites. Latest (v3) service of Google maps doesn't require any key. if you want to use google maps in your application compulsory you need to use google api key otherwise google script won't show any data check the document clearly. hi suresh..arun is correct. google maps v3 is not required any key to access google maps. but i was not able to execute any one of the downloaded code of yours please help. 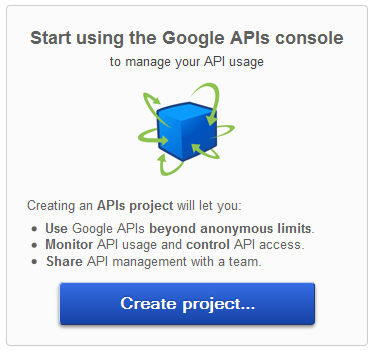 Will google charge amount for using googleAPI key? I want to create a auto complete text box with Google map API.How i do this.Please help me on my problem. I want to do flight tracking using Google map API.could you please help me..